Lula, once the frontrunner in the 2018 Brazilian presidential race despite being prosecuted on corruption charges, has been in prison since April serving a separate 12-year sentence over the use of public funds to buy a luxury beachfront property, again as part of the Operation Car Wash scheme. He has lost all appeals on the initial sentence; his attorneys have begun filing an appeal on the second conviction. Despite being imprisoned since April, Lula, 73, insisted for most of 2018 that he was a presidential candidate despite a Brazilian law that bans politicians convicted of corruption from running for office. He stepped aside to allow the PT to nominate another candidate a month before the elections in September and regularly issues statements expressing a desire to run for president once again. If he serves his full two terms, Lula will be 98 years old when he is released from prison. The Brazilian newspaper O Globo detailed the ruling by Judge Gabriela Hardt, who replaced current Minister of Justice Sergio Moro as the presiding judge on Operation Car Wash cases processed in southern Curitiba, where the fabled car wash that led investigators to discover the corruption scheme is located. Hardt found that Lula was the primary user of a vacation farm home in Atibaia under the name of a friend and actively directed private firms to work on renovations at the property. Evidence indicated Lula frequented the location much more often than its legal owner and invested in the maintenance and renovation of the farm house. Instead of paying the construction firms for their work, Lula would grant them lavish government contracts on infrastructure projects while president, effectively paying for private construction work with taxpayers’ dollars. Operation Car Wash refers to a scheme crafted under the Lula presidency in which the government would allow private firms – most notoriously Odebrecht, a firm entangled in corruption investigations throughout the continent – to grossly overcharge on public projects paid for by Brazilian citizens through the state-run oil company Petrobras. The firms would kick the excess cash back to the politicians that made the deals happen to secure future projects. 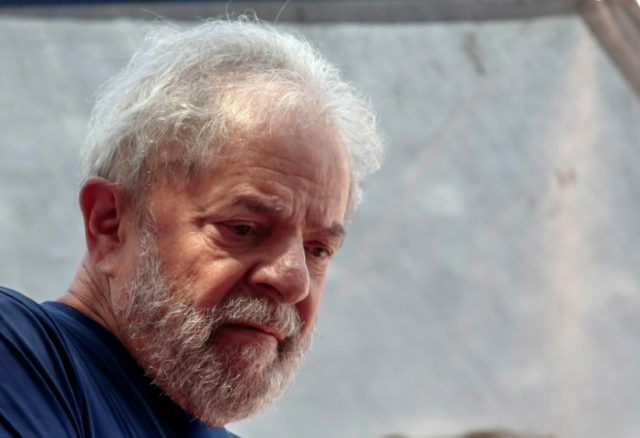 In his latest conviction, the court found Lula paying Odebrecht and the private firm OAS 1 million reais ($269,385.00) in Petrobras contracts for work on the vacation house. “The condemned received inappropriate advantages linked to the office of the Presidency of the Republic, from whom is demanded exemplary conduct as the highest ranking official of the Republic,” Hardt wrote, adding that the individual case detailed in the sentence appeared to be one of many “routine” illicit exchanges between Petrobras and the private firms. O Globo reports that Lula’s attorneys have already begun to appeal the case on the basis of an instance in the sentence where Hardt appears to refer to one individual witness with two of his pseudonyms, Léo Pinheiro and José Aldemário. While Hardt clarifies that the two names refer to the same person elsewhere in the sentence, attorneys claim that the one instance in which it is not explicitly noted is an attempt to make the evidence against Lula appear to be more than it is, according to O Globo. The newspaper adds that, even if the appeal does not succeed, Lula stands a chance at receiving a sentence of house arrest rather than prison or a policy Brazilians refer to as “semi-open” arrest, in which he would receive a job and be allowed to leave the prison to go to work, but must come back at the end of the day. Lula has denied any wrongdoing in the various corruption cases against him for years. In 2016, after first being indicted on the original case against him, Lula told reporters that police had begun investigating him because “only Jesus Christ can beat me in Brazil” and unspecified conservative enemies wished to prevent him from running for office. While initially sentenced to 9.5 years in prison in 2017, he continued to top presidential polls as recently as February 2018, in part because as many as one in four Brazilians were unaware of the charges against him. He began his prison sentence in April 2018 and officially stepped out of the race in September, despite the multiple failures to appeal the case made it illegal for him to run for office.